This is no ordinary club. The Mighty Lions is a group of young lions (like you!) who are passionate about rugby and the Golden Lions. When you become a Mighty Lion, you’ll get access to roar-some competitions and colouring pages. Mufasa is the mascot of the Mighty Lions! He’ll be prancing around at every home Lions game so keep an eye out for him! 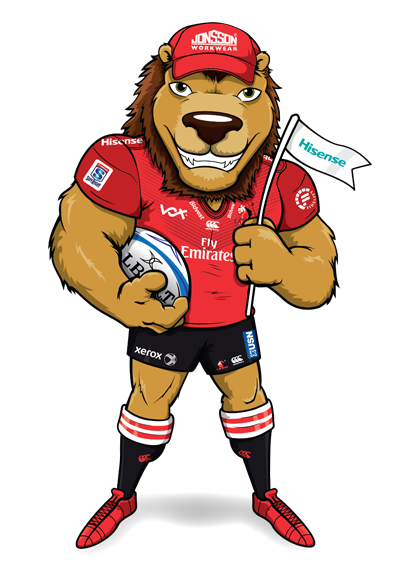 If you snap a picture with him, send it to us at mightylions@glru.co.za and you could be featured on the Mighty Lions Gallery. Why should I become a Mighty Lion? Remember that your match tickets are not included in your membership, so make sure that mom or dad buys you a ticket to the next big Golden Lions game!